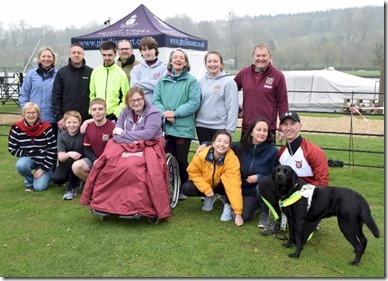 What started as an informal club time-trial has turned into one of the most important events on the Adaptive/Pararowing calendar – Phyllis Court Time Trial. 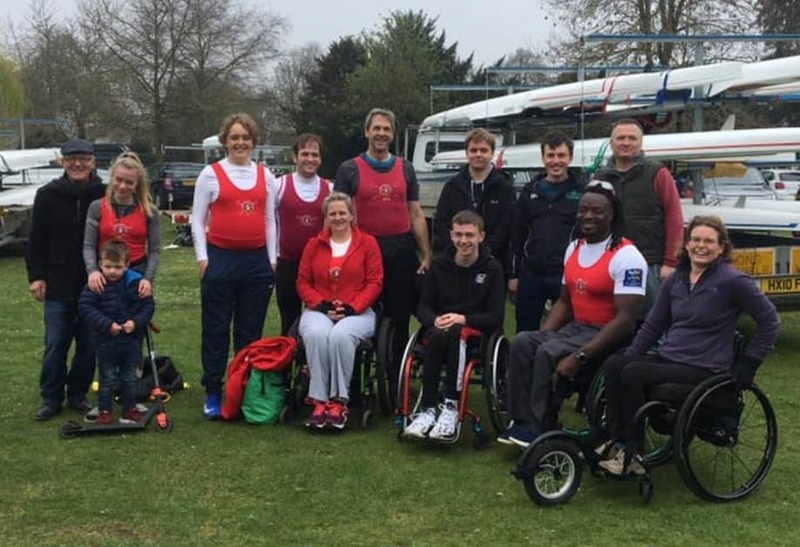 It all started a few years back when Guildford coach Robert Hall looked into the venue for an away day and was in turn invited to bring his pararowers to the time trial. 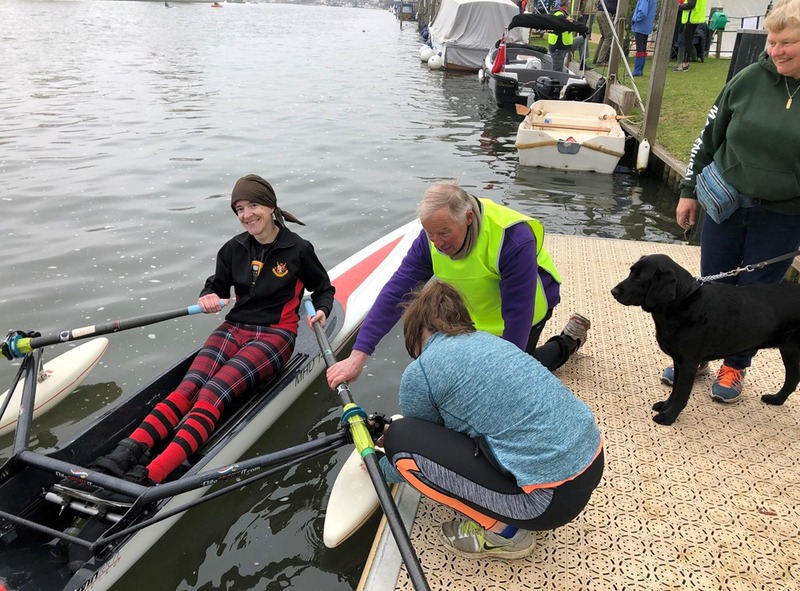 It was such a superb event that the following year he asked if he could bring a few adaptive rowing friends from Marlow. 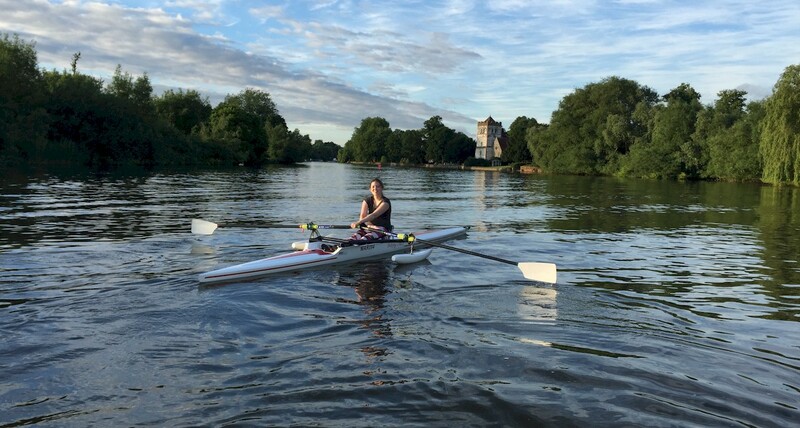 Marlow loved it so much they told a few friends making the onslaught even bigger last year. It has now grown to the point where the adaptive races outnumbered the Phyllis Court Club one’s by nearly 3 to 1 with 36 events! Instead of feeling like a bunch of disabled athletes had invaded their pitch, the PCC has just grown more and more hospitable each year. The refreshments, volunteers, safety, guiding support, organisation just seems to get more slick, more supportive and more impressive. 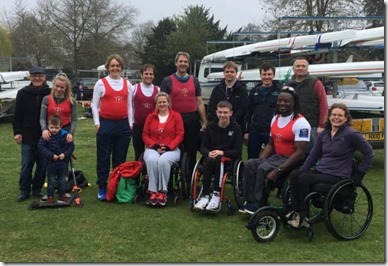 The event is vital to the growing adaptive rowing community in a number of ways. KICK-OFF: Many adaptive rowers have to curtail water rowing in the winter time due to the added risks of water temperature, river flow and weather conditions. 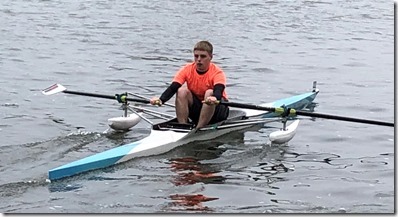 Phyllis Court has been the de facto kick off the adaptive racing season. TIME BASELINES: The time-handicapping system is becoming increasingly popular on the adaptive circuit, but you need up-to-date and accurate measures of performance times in order to use it effectively which the PCC Time Trial provides. 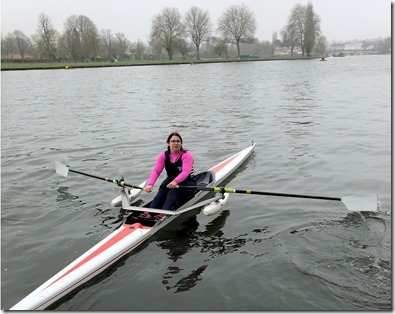 These will be used at the upcoming Marlow Spring Regatta which has a large adaptive slate of races. 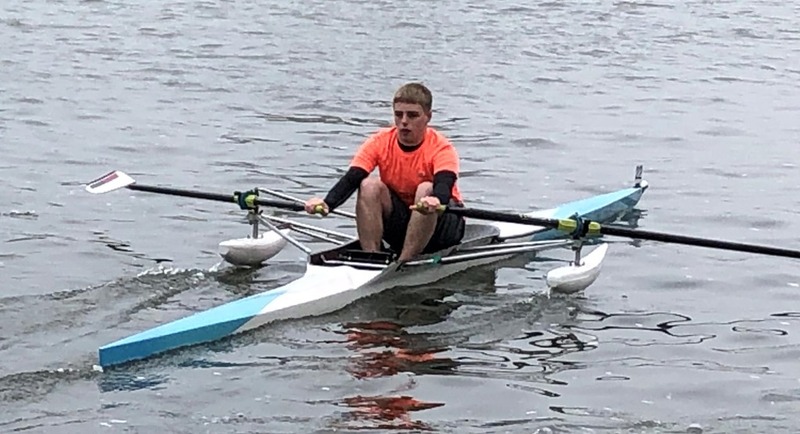 SUPPORT: While all the regattas who offer adaptive events do their best to support the adaptive rowers, they always have tight time and resource constraints running dozens of races with hundreds of athletes. The adaptive racing is always a bit out of the normal flow of operations on the day and typically a bit unfamiliar for many of the volunteers. There is always lots going on and a bit of implicit pressure to get on with things. The PCC Time Trial is extremely relaxed. 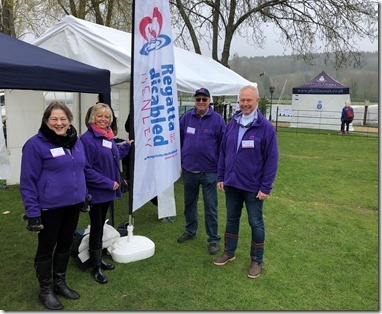 There is a very high number of volunteers helping in many ways who are now quite familiar with the drill and the issues of boating people with so many different impairments. And being a time trial, the logistics are quite easy-going. If you miss your allotted start time, it’s not a big deal. This relaxed and supportive atmosphere is especially helpful for the crop of new adaptive rowers for whom this is their first water competition. 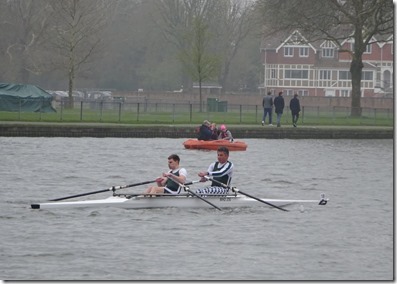 It helps them to learn the ropes of racing in a less pressurised environment. One addition to this year was a stand by the “Regatta for the Disabled” charity. They are also based in Henley. A number of their members came down to talk about the work they are doing, publicize their upcoming event (which is also hosted by Phyllis Court Club) on Saturday 31st August.